Complete tablet solution that provides a fully powered, instantly mobile, and secure experience for businesses. 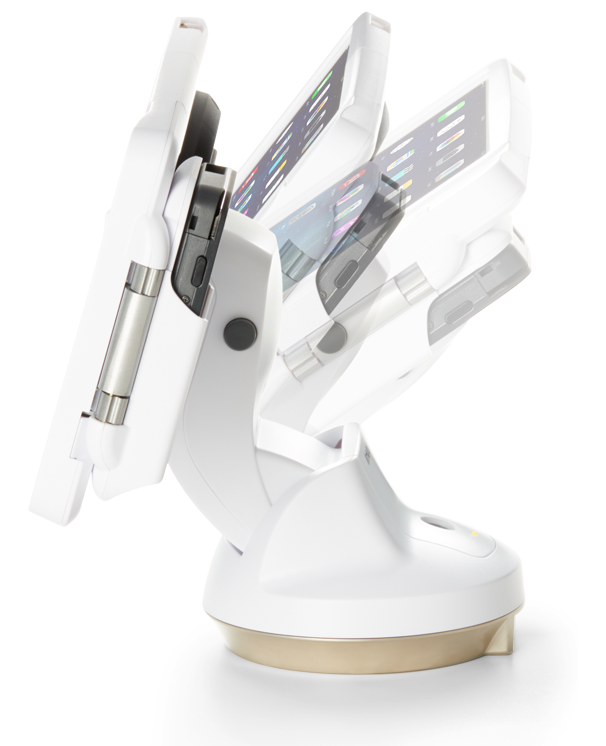 Transform a tablet into a powerful sales tool with the CT300. Read our 2 whitepapers on how tablet mobility is evolving the check-out lane and improving customer experience. Features a built-in alarm and battery backup that can be configured audible or silent and can send alarm notifications. Supports peripherals and data connectivity. 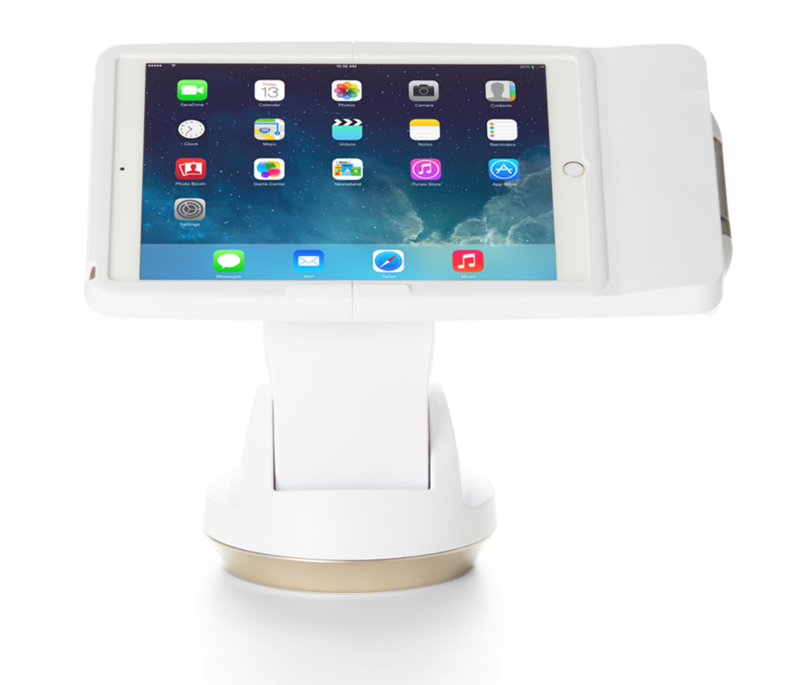 3-axis viewing: Optimizes customer viewing for hassle free transactions. Innovative frame hinge allows device to be forward facing, rear facing secured in frame or removable by sales associate. 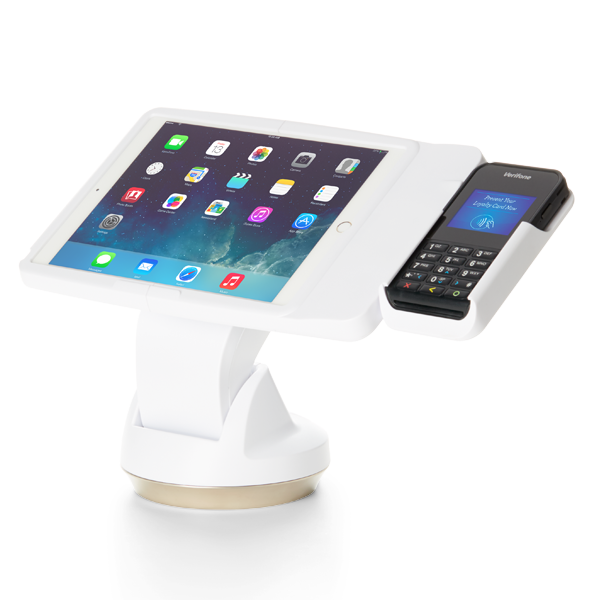 Optional mobile POS device integration. Enables transactions wherever and whenever customers are ready. 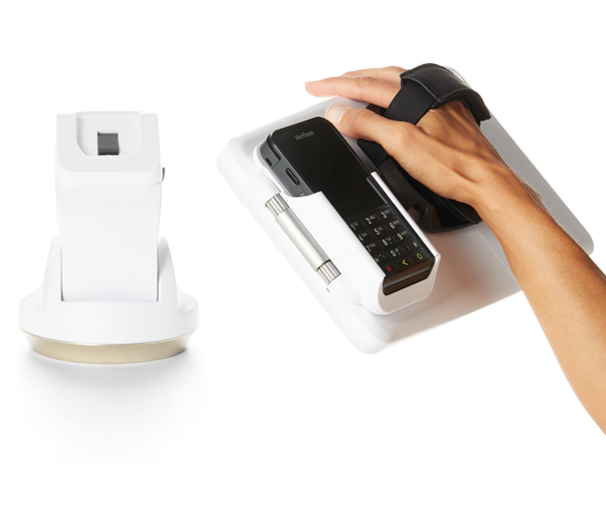 Fixed to mobile POS in seconds. 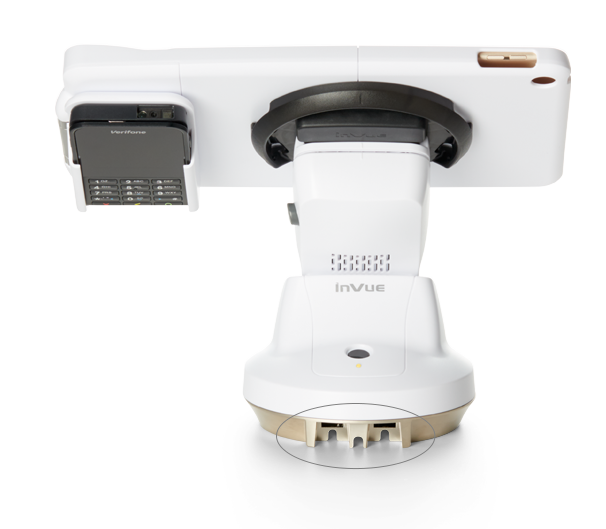 Using InVue IR Key or software control. Optional Gang Charger with security function capability. 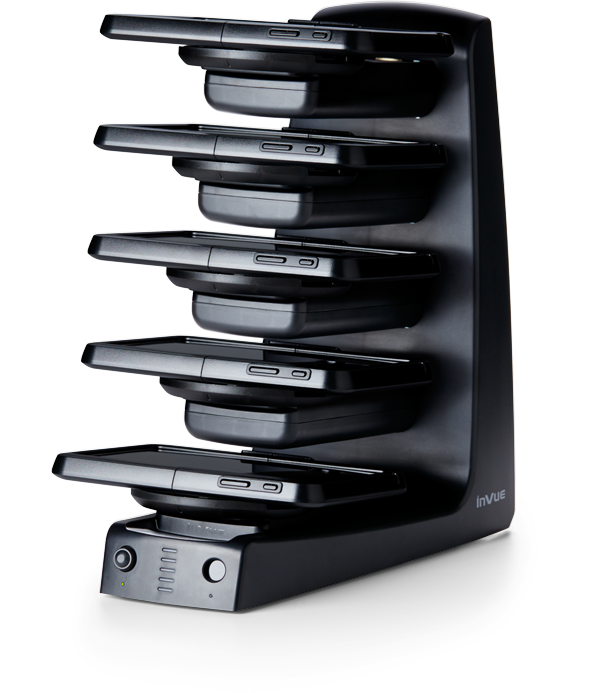 Allows up to 10 devices within CT300 frames to charge at once — five tablets and five integrated mobile POS devices. 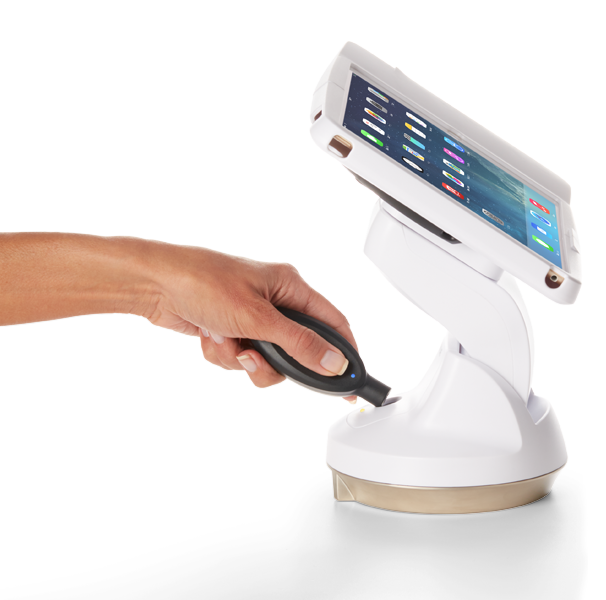 A chain of membership-only retail warehouse clubs installed the CT300 in its restaurant components in order to streamline the ordering process, decrease wait times and increase the number of transactions. Six CT300’s were installed at each location allowing customers to make their food decision and even customize and add to their order leading to a higher ticket. The immediate results were extremely positive; customers found the CT300 intuitive, simple to use and were pleased with the control they had when ordering, the average order time is now 80 seconds.